Well we are now into December and Christmas is now within touching distance! I'm still up to my neck in Christmas crafting - it will be so nice to start using some of the lovely Spring and Summer products soon! But for today we are still on Christmas! If you have been following me for a while, you might remember that I have made very similar pouches in previous years. 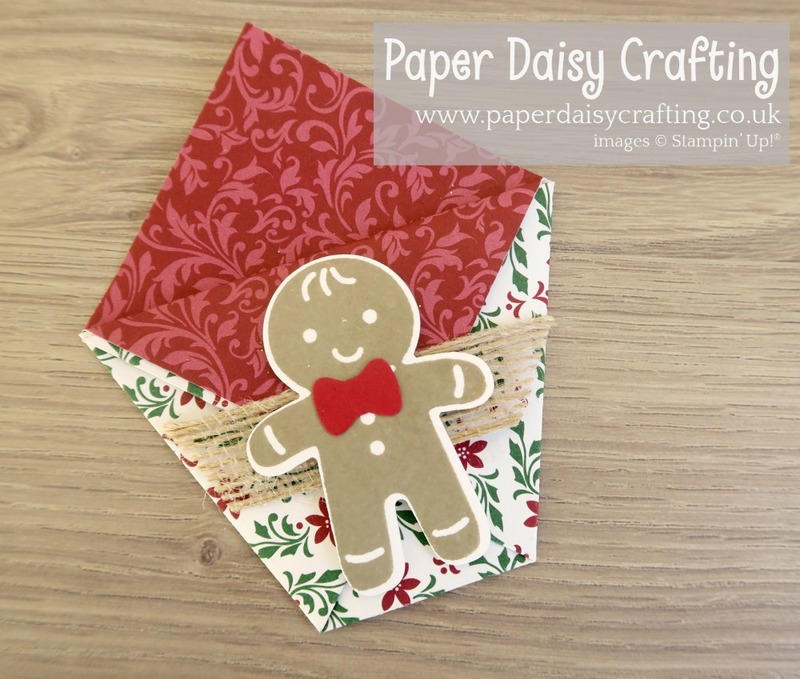 They are so simple to make and the Cookie Cutter set and punch make them easy to decorate. I wasn't intending to reproduce them this year but a friend of mine asked if I would make her some so I decided to change them up a little, using current products. I haven't shown in the photos (because I can't be trusted with chocolate!) but you can fit two After Eight mints in each pouch or even a little bag of something like jelly beans or M&M's. The first one I received contained a bag of mini eggs! I have used the "Dashing Along" patterned papers which work very well I think. 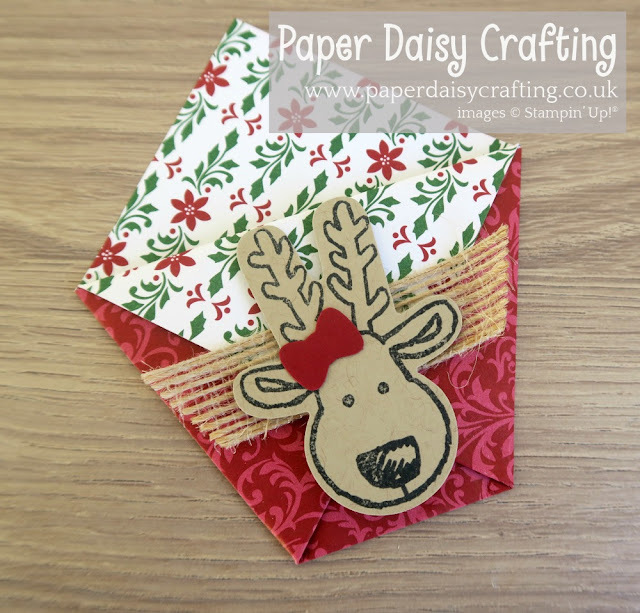 I have made a short video tutorial to show you how to make these - they are REALLY quick and easy! 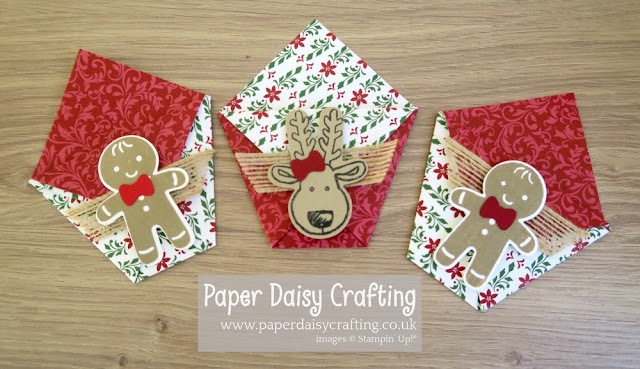 Hope you'll have a go at making these! Do share some pics if you do!